» A Merrell Trail Glove 3 Review – A Good Trail Running Shoe? A Merrell Trail Glove 3 Review – A Good Trail Running Shoe? Merrell has been producing exceptional footwear since 1981. Though they began with a focus on footwear for hikers, they are now a popular and trusted brand amongst backpackers, runners and everyday people looking for quality casual footwear. Despite having a range of different footwear styles, they consistently produce superior shoes and boots that are exceptionally durable and a true investment for happy, comfortable feet. They are one of few popular brands that offer true barefoot and minimalist style shoes. Barefoot walking, running and hiking seems to become more popular by the year as research seems to suggest that it may be beneficial. If you are interested in minimalist shoes that mimic being barefoot or are already a big fan, their Trail Glove 3 would be an excellent choice. There are two other Trail Glove models as the “3” suggests and Merrell has improved this line with every new shoe. Despite there being a third in the series, many people still love the original Trail Glove which really goes to show how wonderful the Trail Glove 3 is. Final Take – Worth The Money? New Sole: The overall design of the sole is almost entirely redone. Functionally, the main difference is that the shoe is lighter by about 15% vs the second generation. Trail Grip: Another new feature is a multi-use enhanced tread which allows for better variable terrain running (more flexibility). Better Ventilation: The third iteration also has a breathable upper design, allow for better airflow and greater overall comfort. When it comes to barefoot style shoes, less is often more. Since Merrell designed this shoe with minimalism in mind there are few features compared to traditional styles of trail shoes. Despite the lack of features, these shoes offer plenty in terms of comfort, versatility, and durability. The lack of excessive features is wonderful for experienced barefoot hikers who find that so many brands add too much of a sole, foot padding and other items. As the name suggests, Merrell truly made this shoe act more like a glove than a traditional shoe. Despite this, the Trail Glove 3 is exceptionally tough. The upper of this shoe is a combination of a mesh and thermoplastic urethane (TPU). This makes the shoe extremely breathable and comfortable. The lining of the shoe is also made of a soft mesh. Due to the mesh, the Trail Glove 3 is super lightweight but is not waterproof. This may actually be a significant benefit since it is an ankle height shoe- if you run through a puddle and water gets into the shoe it will easily be able to escape. Like many of Merrell’s minimalist or barefoot style shoes, the Trail Glove 3 is very easy to wash. Unlike many shoes that have to be carefully washed by hand once they get dirty or smelly, the Trail Glove 3 can be put right into your washing machine on the gentle cycle. Simply air dry and they are ready to go. The sole of these shoes is made by Vibram- another very popular brand that provides some of the best barefoot and minimalist style shoes. These soles mean this shoe is exceptionally stable even on a slippery or loose terrain. A 3mm lug depth is also featured as well as the TrailProtect foot pad to guard the foot against sharp or blunt objects without sacrificing the ability to feel the ground. Like so many of Merrell barefoot shoe varieties, the Trail Glove 3 is extremely versatile in its use. It is sold as a trail running shoe, but this model is essentially usable for anything up to what a barefoot trail shoe can provide. This means it’s comfortable enough for daily wear while running errands, use in the gym or for structured workouts, some casual cycling, ultralight/light day long backpacking trips, etc. It really depends on how accustomed to walking or running barefoot you are. These shoes would of course not be appropriate for cold weather activities as they are largely made of mesh and offer no insulation. 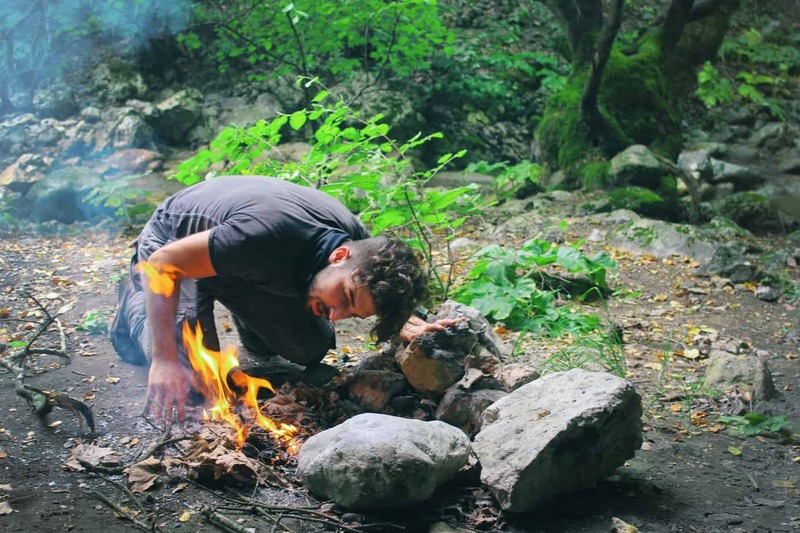 It is also not recommended to use them for backpacking activities in which you are carrying significant amounts of weight or need ankle support. When it comes down to it, the Trail Glove 3 is perfect for daily casual use up to moderate or possibly extreme trail running. Some people even find these to work as a water shoe or on boats as the mesh sends water away while the Vibram soles stick to wet rocks and other objects. One somewhat controversial aspect of all types of barefoot or minimalist shoes is the comfort level. First of all, comfort is a matter of opinion and individual bodies. Some people will swear a shoe is super comfortable and another will find that the same shoe end up causing sore feet and blisters. Due to the special nature of these shoes, a majority of people should not just put them on and go for a run. This is going to cause pain and even potential injury, which will be an overall bad experience. The average person’s foot has been babied by traditional shoes that are filled with padding, high arch support, shock absorbing features and thick soles from a very early age. All of these features believed by many to be what makes a shoe comfortable but they also essentially change the foot and weaken it. If you are a barefoot/minimalist shoe aficionado you will find Merrell’s Trail Glove 3 is super comfortable because it is truly like a glove rather than a shoe. They do not require a breaking in period and those with strong feet accustomed to this style of running will often be able to hit the trail right off the bat. Since the shoe is so breathable, lightweight and has a zero drop, they truly feel like you aren’t wearing anything on the feet. The super, super thin heel will also protect your feet from sharp objects but allow you to feel the terrain under you. This is one of the downsides of many barefoot shoe models. No protection along the heel can make trail running more difficult. If you are brand new to barefoot/minimalist shoes the Trail Glove 3 might be a bit extreme for a first shoe of this style. Since it is so minimal, you are going to have a harsher introduction than other models. You will need to take the transition very slowly to ensure your feet stay healthy and uninjured. If you already spend a lot of time barefoot the transition won’t be so difficult. 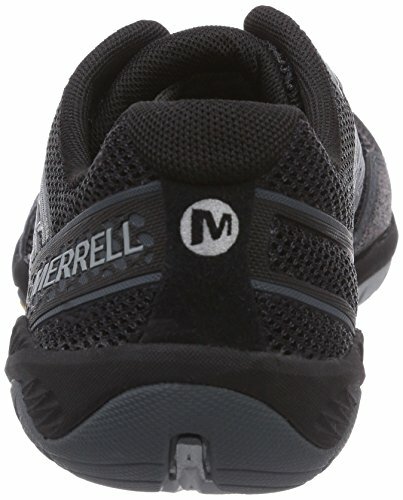 Merrell remains ones of the most popular brands for people that wear barefoot and minimalist shoes. The Trail Glove 3 is an impressive successor to the other two Trail Glove models and certainly is one of the most highly recommended styles on the market. People who are already big fans of these styles will certainly be happy with this model. You can find the Trail Glove 3 shoes here for a good price. Unfortunately, there are only men’s sizes available so unless you are a woman who can wear a men’s 7+ you won’t be able to wear this style. In that case, Merrell has many other women’s specific models just as highly recommended at the Trail Gloves 3.